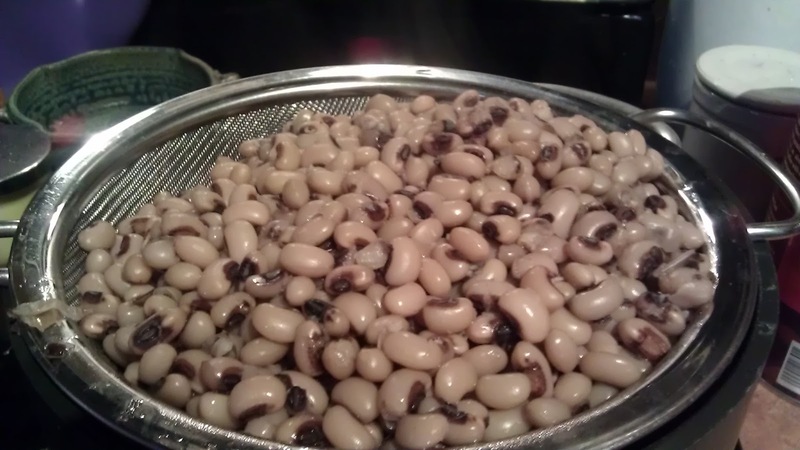 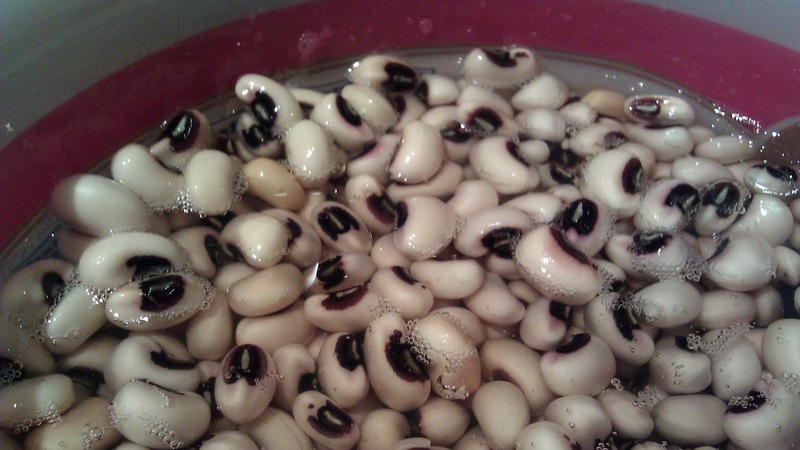 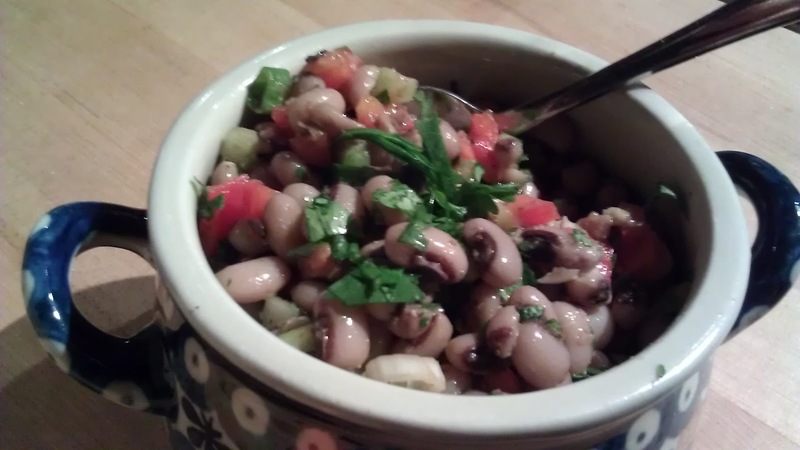 It is a tradition in the south to have black eye peas on New year day. It is supposed to bring good luck for the year. 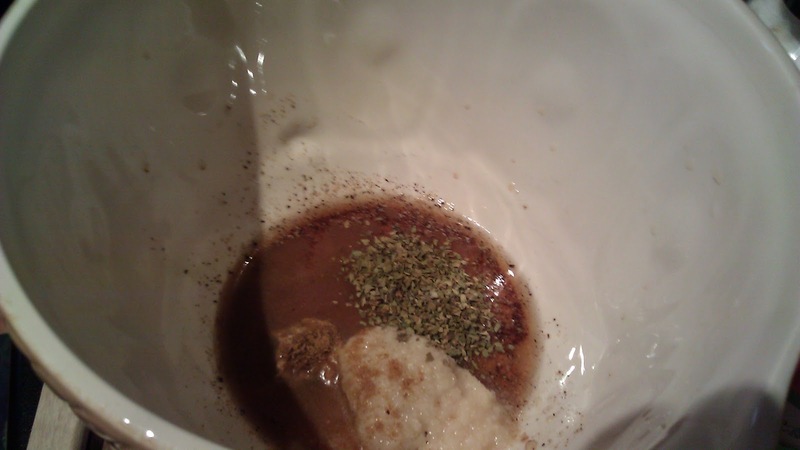 I had a bumpy 2011. 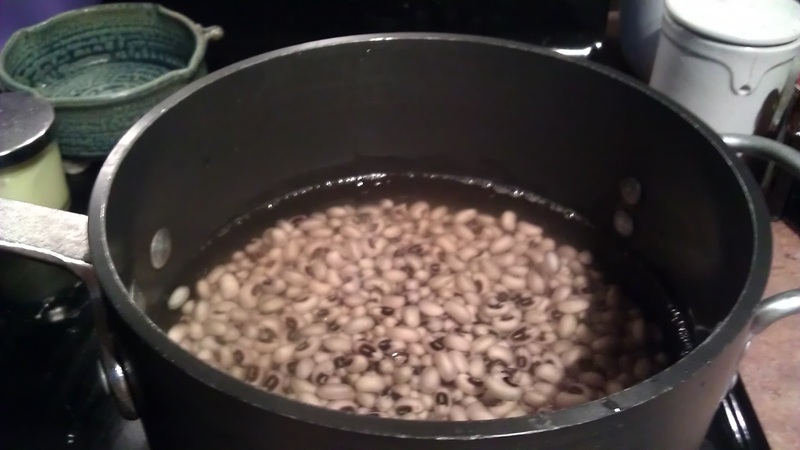 I thought I better give this tradition a try. 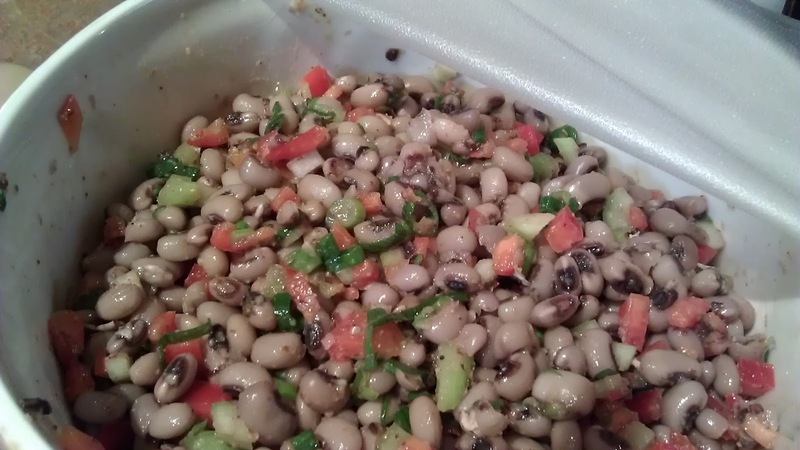 In the south, black eye peas would be cooked with ham hock. Well I don't really enjoy that too much, I decide to go with a healthier version as Texas Caviar! I love it the name - sounded fancy, perfect for party on New year day. 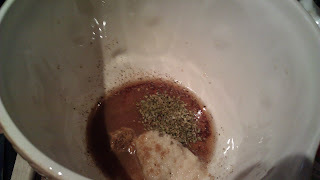 In a large mixing bowl, combine vinegar, garlic, mustard, oregano, chilli powder and cumin. 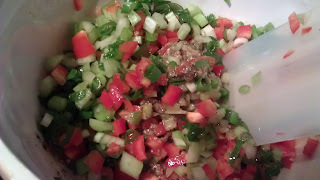 Add the chopped vegetable. 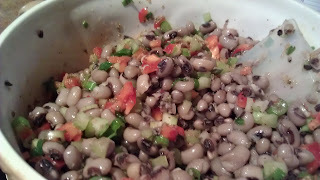 If you prefer, add red onion and jalapeno. 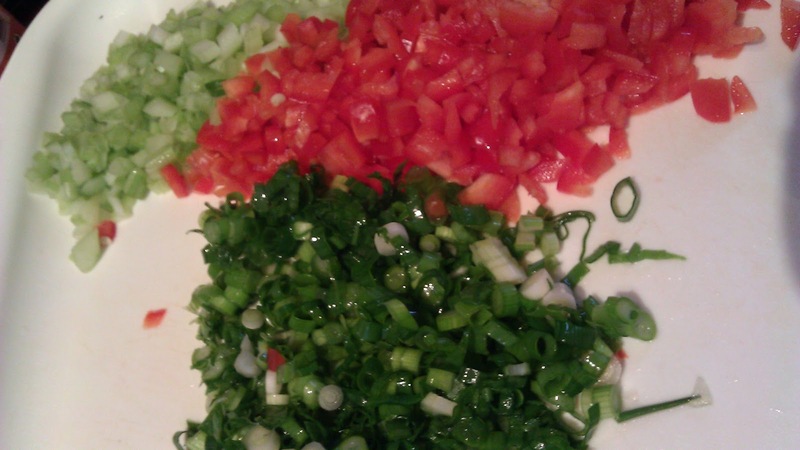 I skipped these 2 ingredients here since I am cooking for a group who prefer milder flavor. 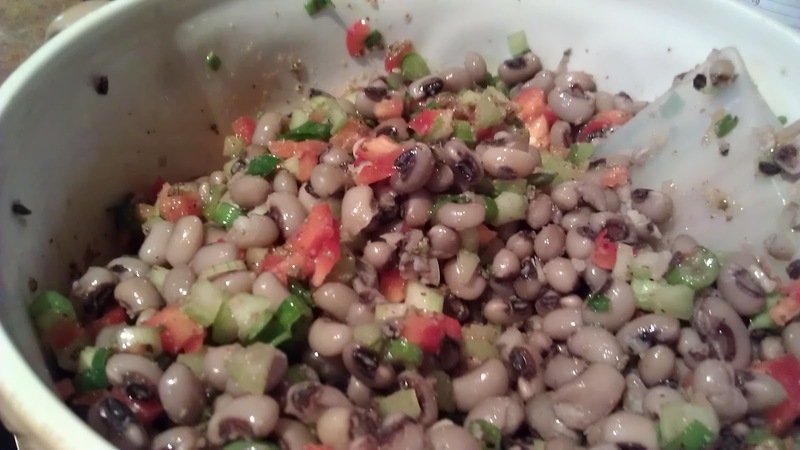 Fold in black eye pea. Cover and refrigerate the salad for 3 hours or overnight to mellow and blend the flavors. 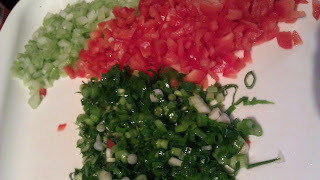 To serve, fold in 1/2 cup chopped cilantro.